Tripod stands that are perfect for holding our abalone shells. 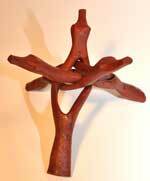 Keeps your shell off your table or floor and holds it firmly in place. We have two sizes. The 8-inch size will hold the large 5-6" and 6-7" shells and the 4-inch size is excellent for the smaller 3-4" and mini-red shells. The legs are inter-connected so they will lock in place when open and stay together when closed so they can't get lost. Imported. 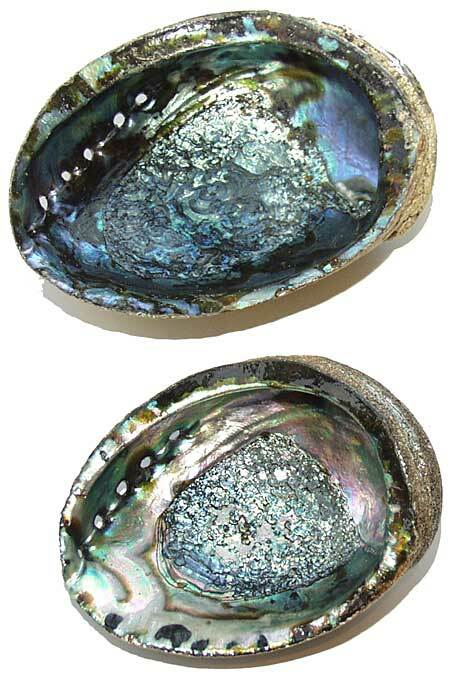 Abalone shells are often used as a smudge bowl for burning sage and other botanicals. These are the more popular blue/green variety which are getting harder to get. 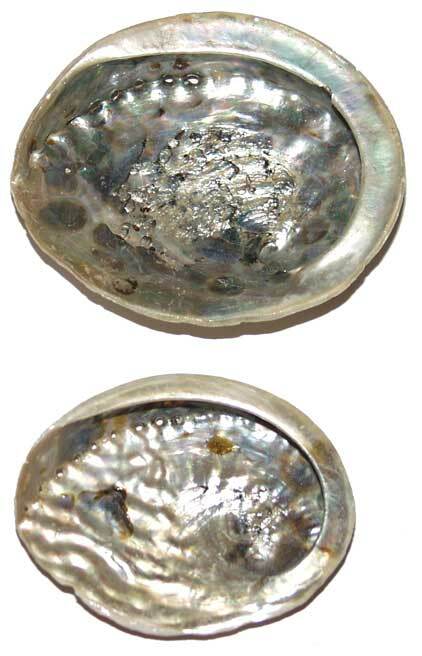 Abalone are harvested as a food source and the shells are used for decorative and other purposes so nothing is wasted. These are harvested in Mexico. Please note that shells are quite heavy, so your actual shipping costs may be more than our web site will estimate. For shipments outside the United States, we will need to obtain an export permit from the U.S. Fish and Wildlife Service. There is no charge to you for this service, but we cannot ship more than 25 shells per shipment. Please allow several days for permit processing and issuance. 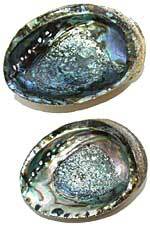 Very beautiful select grade abalone shells in smaller sizes. They are shallower and have a somewhat flatter appearance than the full size shells.